Home / SURPLUS, military and civilian. 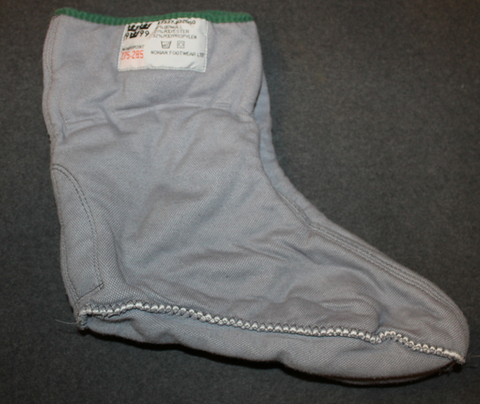 / Arctic Boot Liners, Swedish Army. Issued, but nice condition boot liners. Made by Finnish Nokia Footwear for Swedish army. High quality, dries quickly, keeps feet warm even if moist. Tested in last winter at -28C with steel capped rubber boots, and still in use, highly recommended. Thin inner sock MUST BE WORN at all times, wool or other natural fibre works best. Use always socks if liners are worn with boots.